Every year since 2016, the Salon International de la Haute Horlogerie Genève (SIHH) is one of the most exclusive watch trade events that brings together the likes of timepiece collectors, connoisseurs and professionals from all around the world. Held in Geneva, Switzerland, from Jan 14 to Jan 17, this larger-than-life annual affair aims to provide an immersive, interactive, innovative and content-rich experience, as well as updating all watch enthusiasts with latest trends in watchmaking. 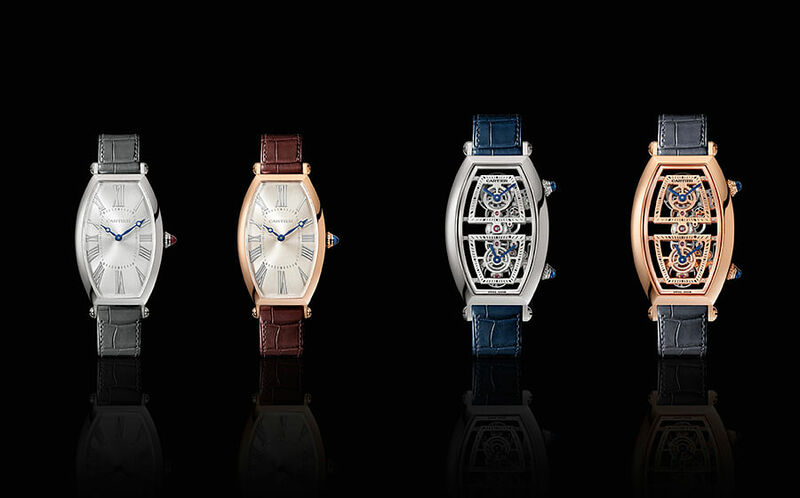 This year, Cartier returns as one of the 35 exhibitions at this year’s SIHH (held in in Palexpo) with two most show-stopping collections (consisting of five different watch styles). 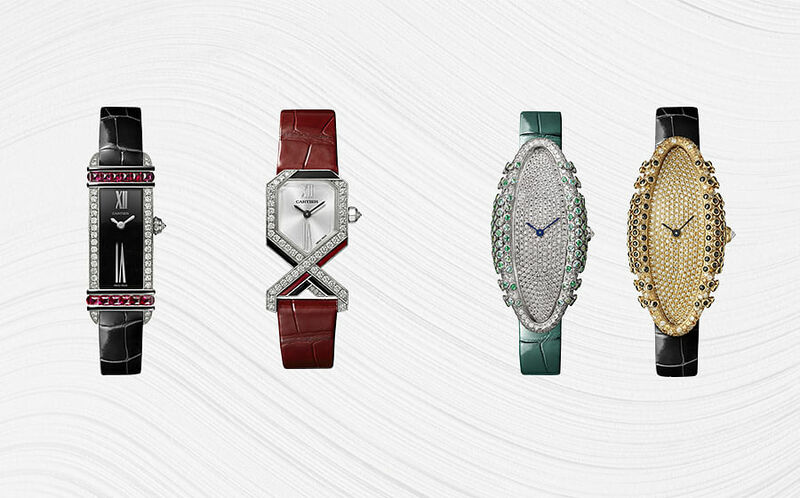 The Privé collection is large and in-charge. 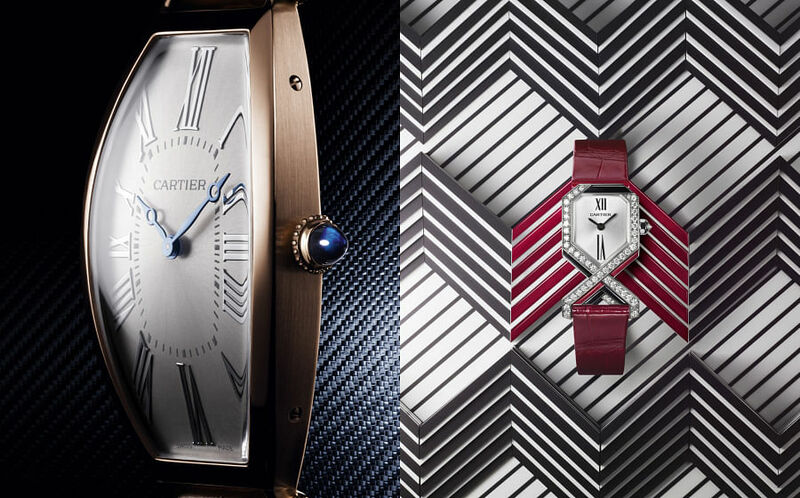 Looking back into the archives, Cartier reboots the classic Cartier Tonneau model with styles that are still elegant and modern. One model, the Hours and Minutes edition runs on the calibre 1917 MC, which is a manufacture mechanical movement (that will only work through manual winding). 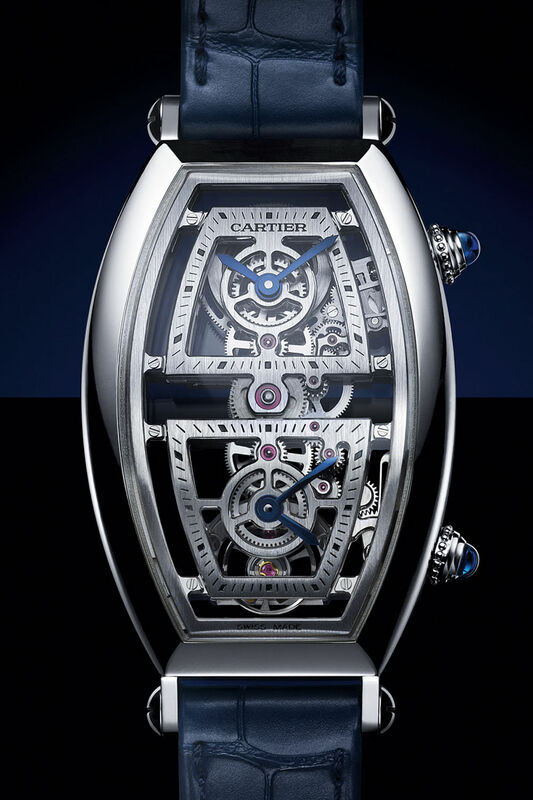 This elevated design is a rendition of the large Tonneau model circa 1906 - it retains most of many of the watch’s key structures and components, such as the roman numerals, the cabochon crown and the rail track. This updated classic watch comes in two different shades: Pink gold with brown alligator watch strap, as well as platinum with grey alligator strap. If the large Tonneau isn’t big enough for you, then go for the gargantuan version (aka the XL edition). Housing a 9919 MC calibre that is engineered for the gear train to align in a vertical arrangement as opposed to circular, the Skeleton Dual Time Zone version of the XL Tonneau allows a marvellous view of the watch movements. 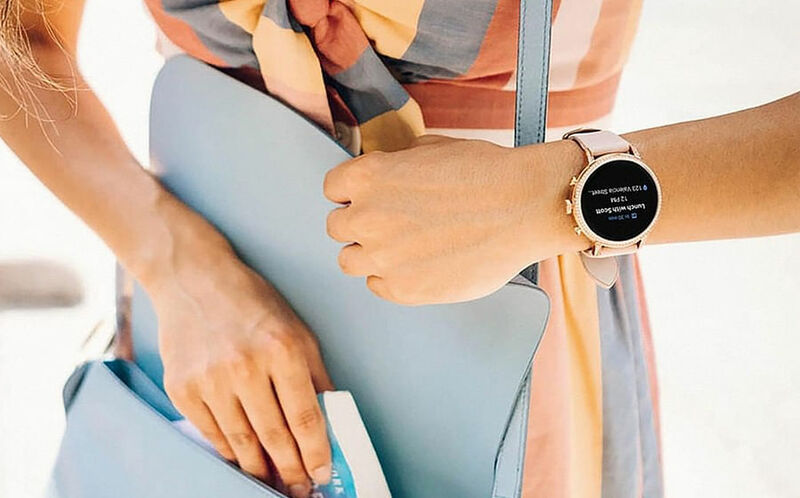 This enigmatic timepiece comes in both platinum (with a brilliant blue alligator leather strap) and pink gold (with a gorgeous grey alligator strap). 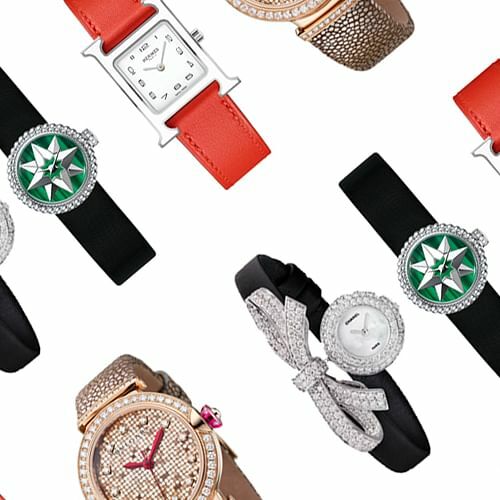 Launched in 2017, the Libre collection is a new feminine line of timepieces that’s revolved around the notion of freedom (For the uninitiated, that’s what libre means in French). 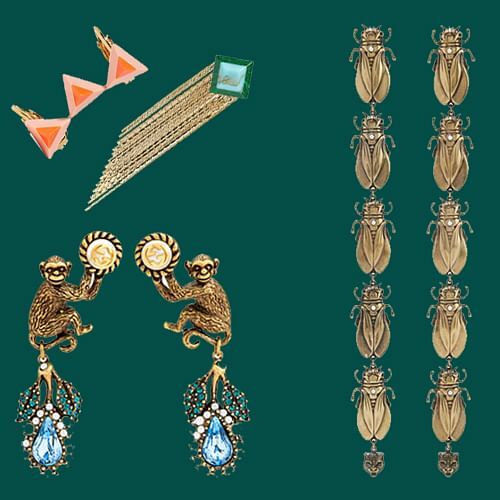 Comprising of three different designs, these highly limited edition bedazzled accouterments came about from the designer’s desire to manipulate Cartier’s signature watch shapes with odd proportions and volumes. 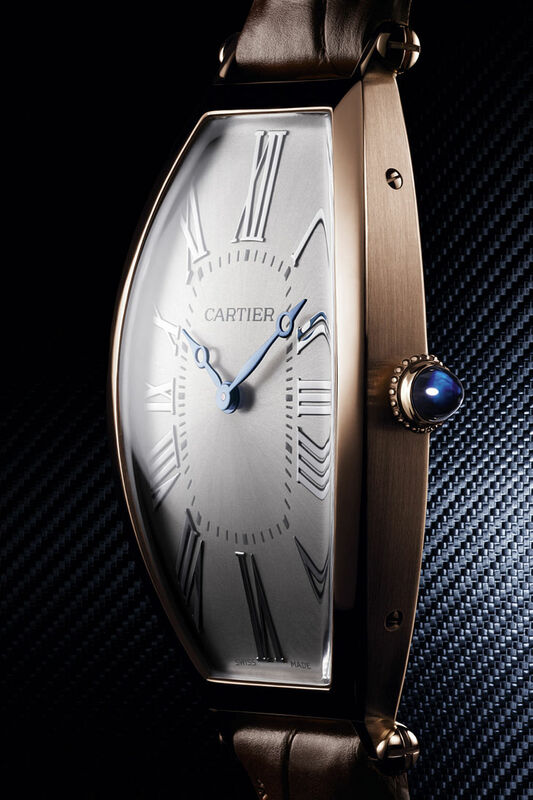 A refresher from their 1921 collection, Cartier takes the Orient Express and visits China with the Tank Chinoise Red watch. 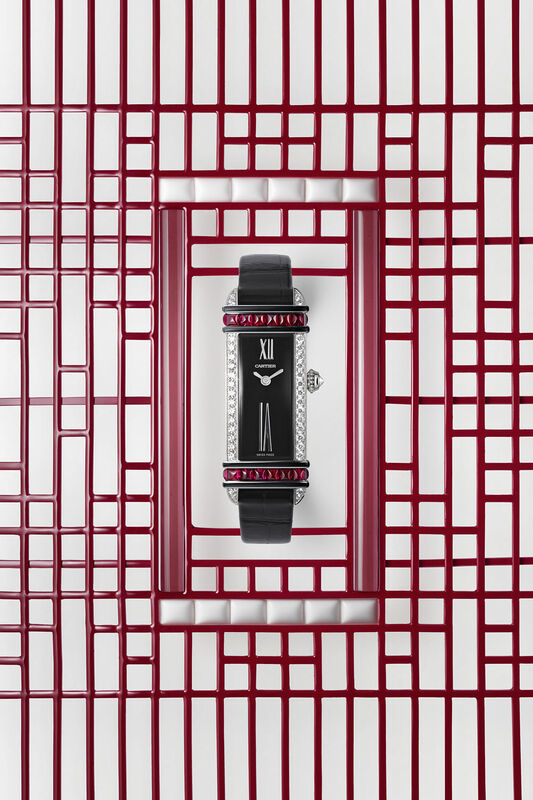 This diamond, black enamel and ruby encrusted timepiece greatly displays its symbolism and inspiration that the designer has culled from China: The usage of a red colour palette was deployed to convey passion and vitality. 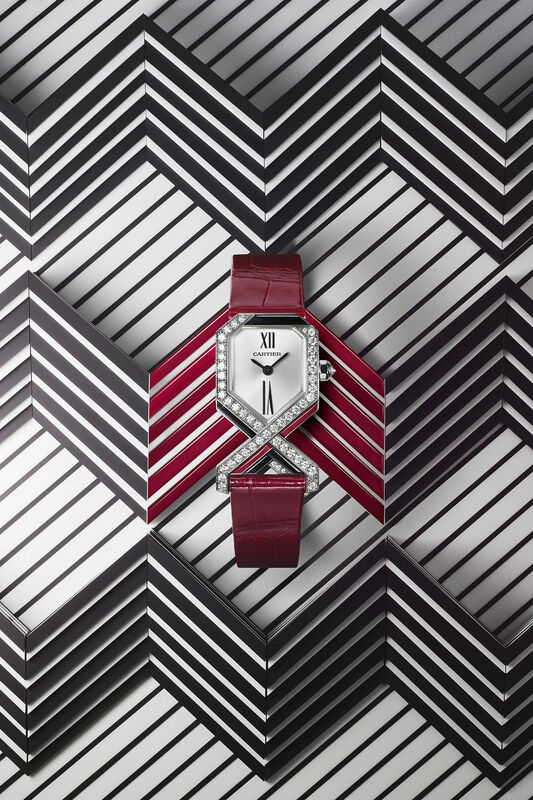 What we love about the Diagonale watch is not only its geometrical lines, but also that it bears no semblance to any of Cartier’s heritage classics. 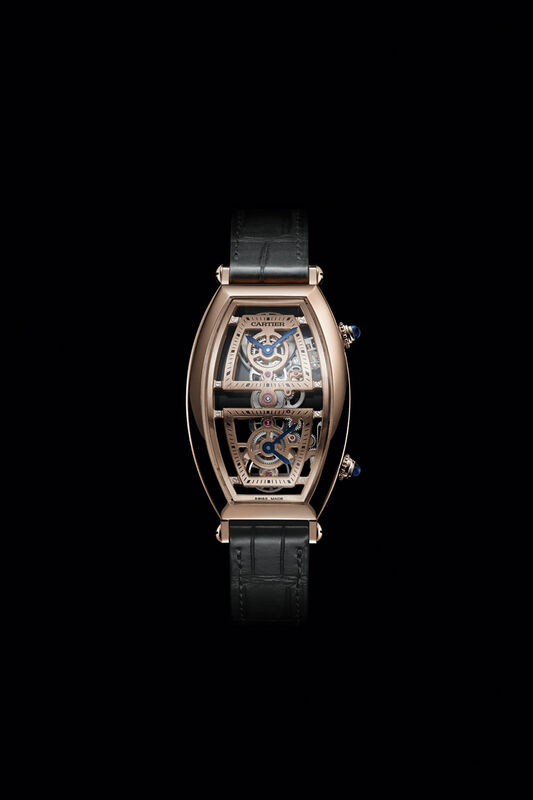 In other words, this design does not have a historical precedent unlike most of its other watches. And in this time and age, don’t we all like disruptors? 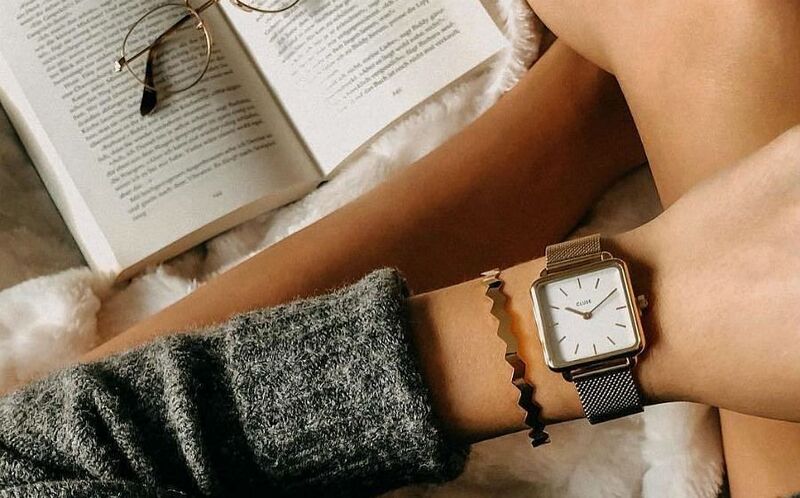 Perfect for soirees or a great date out, the very wearable design has a minuscule dial, clean cut lines of pavé diamonds, as well as an elegant red alligator leather strap. 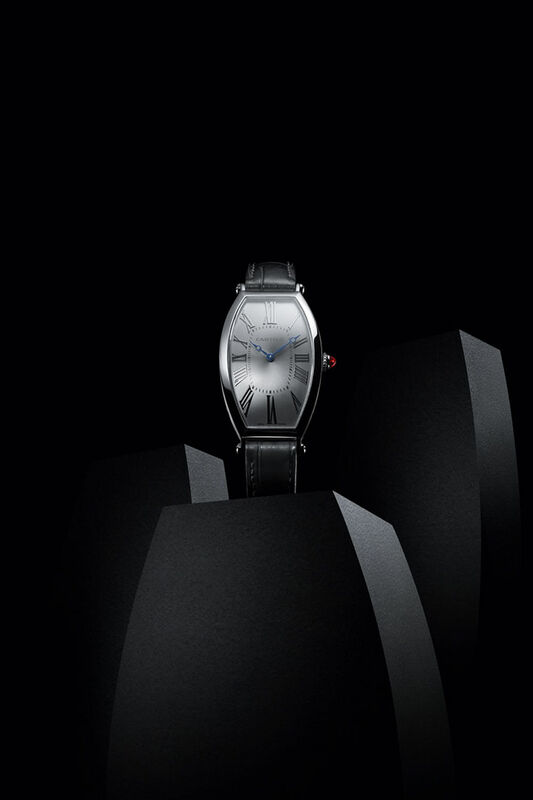 Cartier will also be showcasing its graceful and elegant Baignoire Allongée Céladon and Black watches as well. Built from its 2017 Baignoire Débordante model, it sports a very distinct oval convex surface. 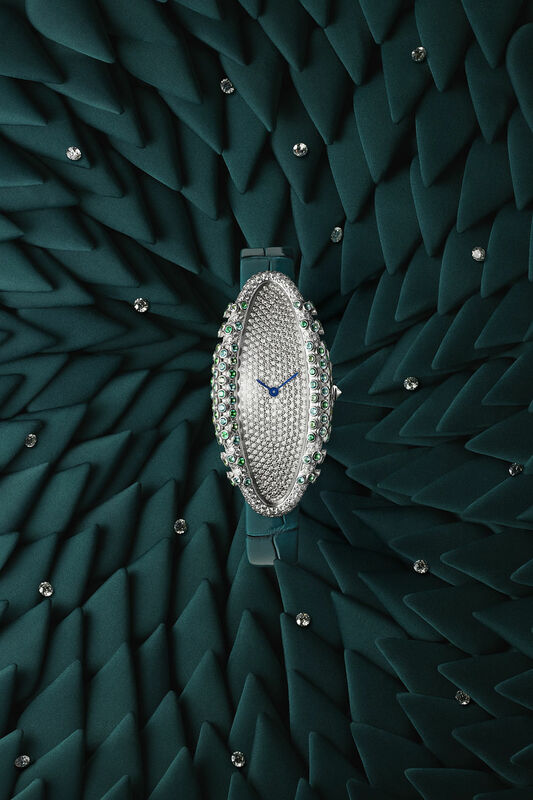 Its bezel is adorned with emeralds, Paraiba tourmalines, black spinels, yellow sapphires and diamonds, and frames the diamond-encrusted watch face beautifully. 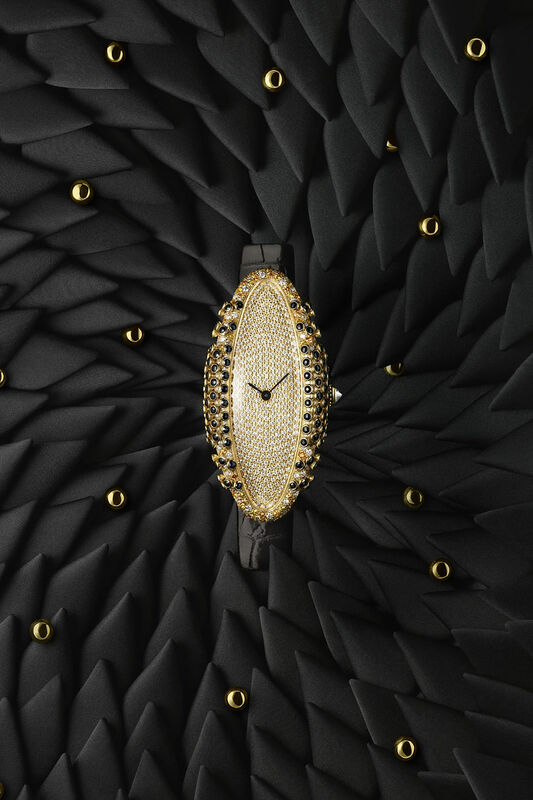 The watches from the Baignoire Allongée collection comes in either white gold with green alligator leather strap, or yellow gold with a black alligator strap.